A combination of unique materials with a minimal design to create a timeless look. 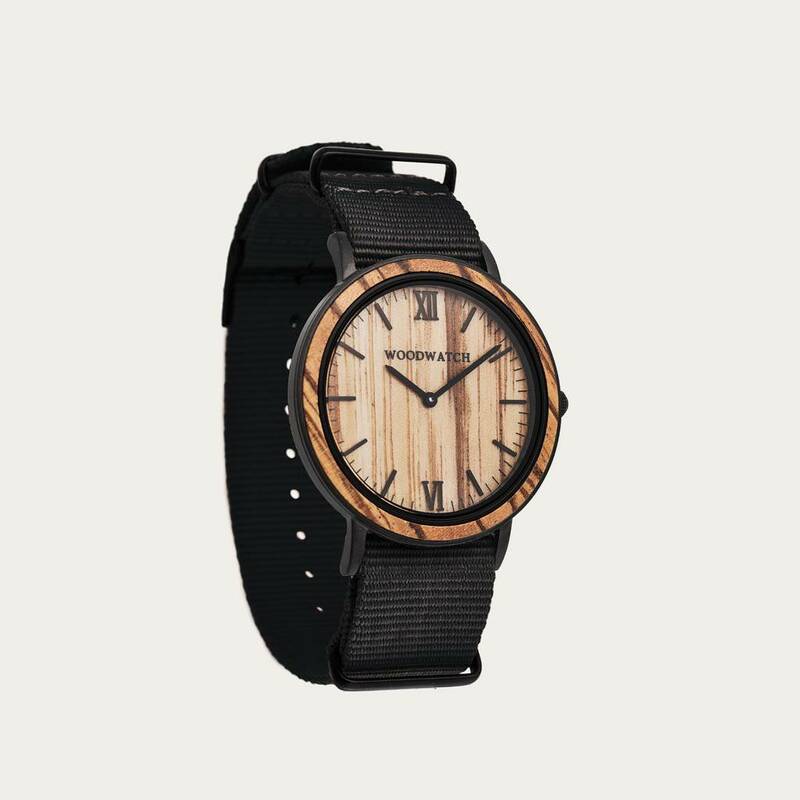 This modern watch suits both your casual day look and your finest formal wear. 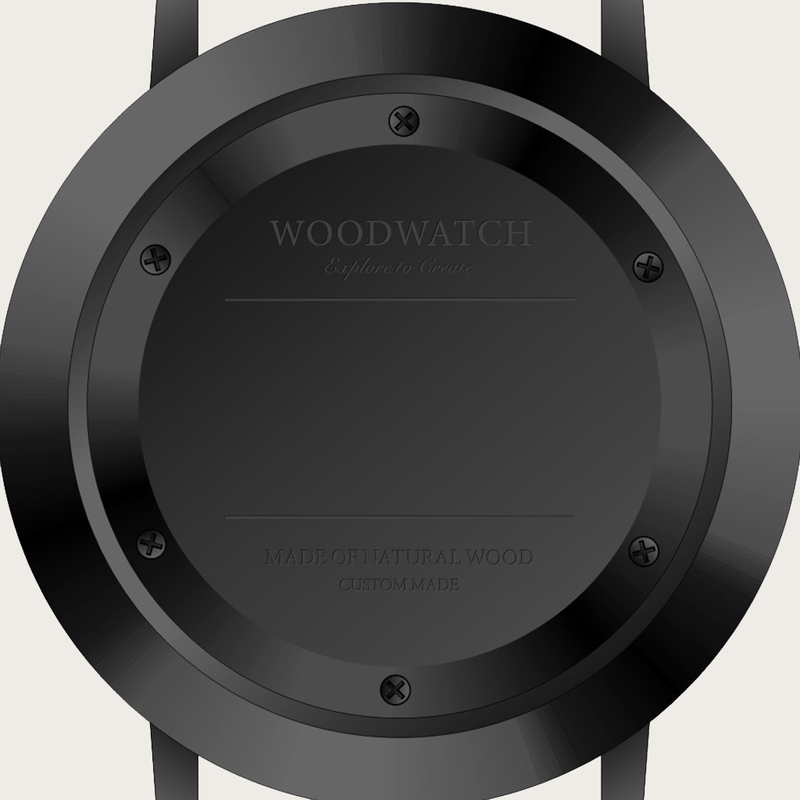 A super thin case made of the finest stainless steel with a matte black finish. A statement of naturally grained Zebrawood. 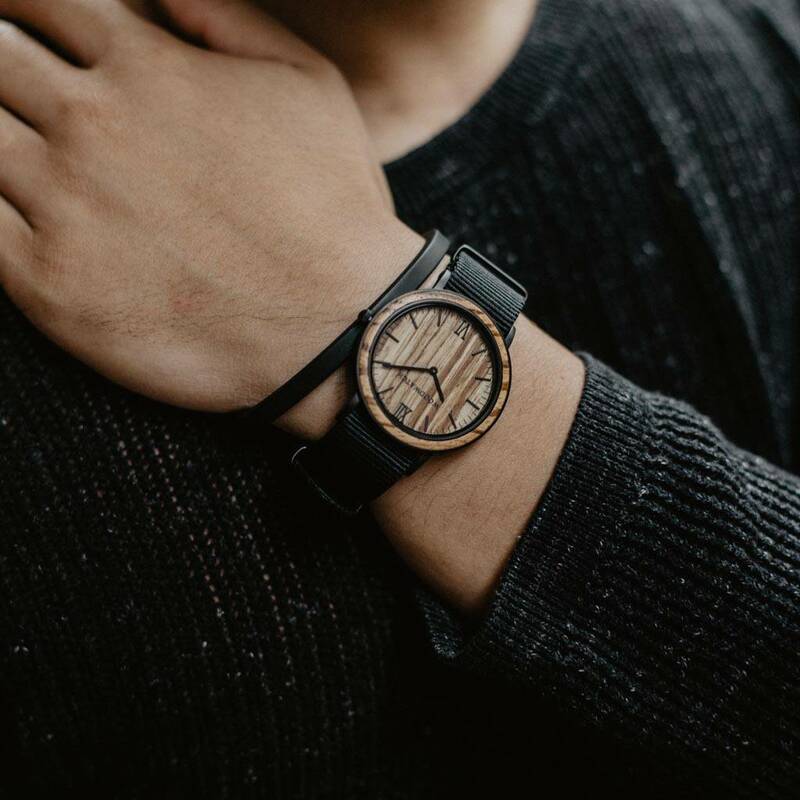 The OnyxBand is a NATO strap in the deepest shade of black. 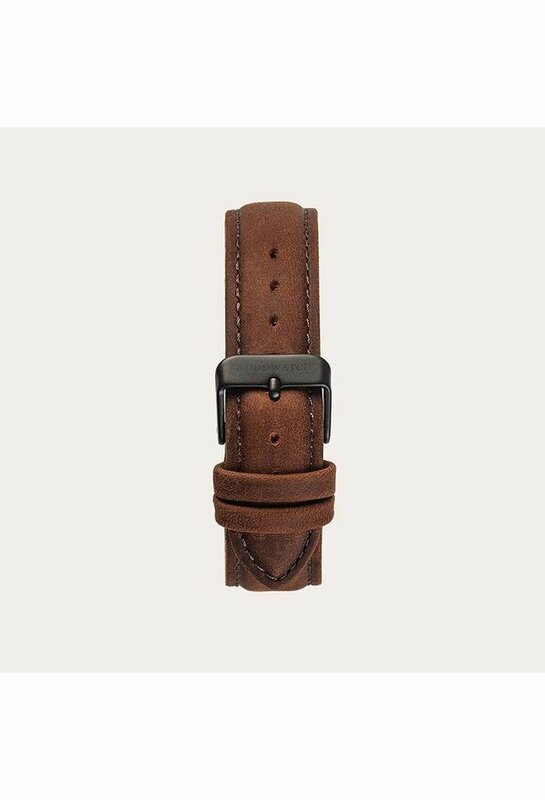 The band has a metal buckle clasp in matte black.